Going Radio Ga Ga Over ‘On Air’ Sneak Peak! The latest in a line of illustrious Queen live releases, Queen On Air is perhaps the most regal yet. A sumptuous box set, it traces the group’s long-standing relationship with the BBC, from their first studio session, aired in February 1973, several months before the release of their debut album, to massive outdoor stadium shows from the height of their globe-straddling pomp in the 80s. 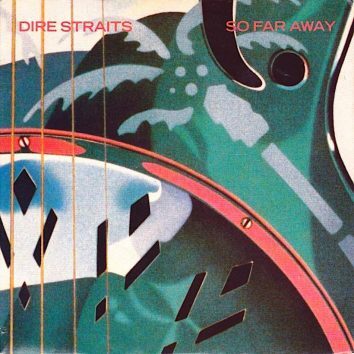 Released on 4 November, the box set comes in 3LP version and 6CD formats, the latter of which collects three discs of band interviews conducted between 1976 and 1986. 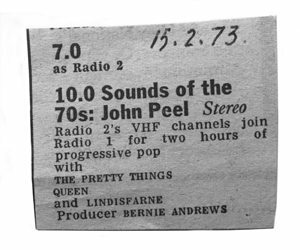 As a radio listing shows, the group’s first BBC session was with the ever progressive John Peel, who slotted the band in among British psych stalwarts The Pretty Things and folk-prog-rock pioneers Lindisfarne. It was during this session that the band would perform four tracks from their forthcoming self-titled debut – ‘My Fairy King’, ‘Keep Yourself Alive’, Doing All Right’ and ‘Liar’, priming their growing fanbase for what was to come. 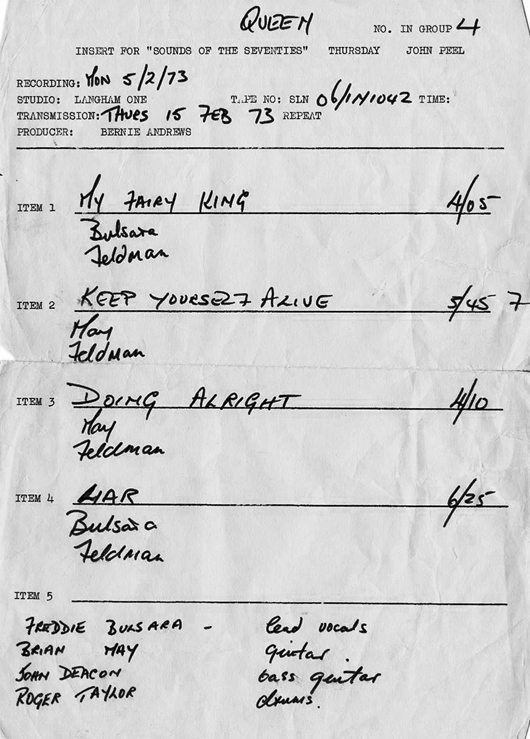 Interestingly, handwritten production notes credit Freddie with his birth name, Freddie Bulsara – though it wouldn’t be long before the world would know him by his elemental stage name. The group returned twice more that year, and put in two further appearances in 1974, before taking a three-year break, making their next appearance just before the release of News Of The World. It was during this session that Queen unveiled their anthemic single ‘We Will Rock You’ – though in a very different version than the one fans would soon sing from the terraces. 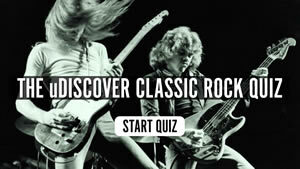 ‘We Will Rock You (Fast)’ shows that, even as they were poised to release new material, the group were forever looking for new ways to express themselves. As the 70s rolled into the 80s, Queen became one of the biggest bands of the decade, filling out stadiums across the globe. They may no longer have been able to fit inside the studio, but they retained a strong relationship with the BBC. 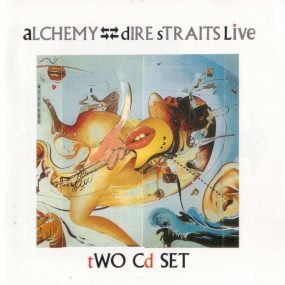 Indeed, key points in the band’s career were broadcast on air, including a performance at São Paulo’s Estádio Do Morumbi, on 20 March 1981, and a juggernaut performance at Maimmarktgelände, in Mannheim, Germany, on 21 June 1986. As a letter written to In Concert producer Jeff Griffin shows, the group looked fondly upon their BBC sessions. 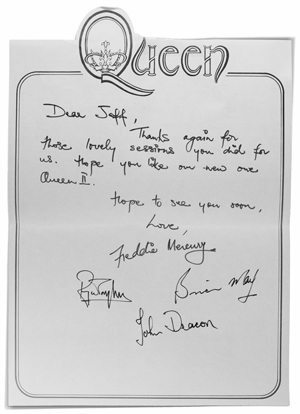 Handwritten and signed by all four band members, it thanks Griffin “for those lovely sessions you did for us”, before hoping that he likes their “new one”, which would end up being Queen II. Forty-plus years later, the lovingly compiled Queen On Air shows that the Beeb very much felt the same way about the band.